This is a sponsored post written on behalf of The Women Bloggers and Anker. All opinions are 100% mine. I often get asked, what is a good gift for a teen or college student? Thanks to my partnership with Anker portable chargers, I now have the perfect answer. 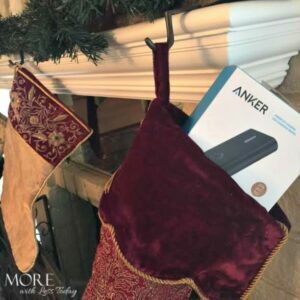 For them or for anyone connected constantly to their phones and devices, a top of the line portable charger is the perfect gift. I learned that Anker is the #1 Amazon electronics brand and now they are also available at Walmart. In addition to premium power chargers, you’ll find the world’s first car dashboard computer, exceptional audio products, and amazing future products coming in 2017. Anker is changing the game on how we connect and stay connected. I can really appreciate the quality of my Anker PowerCore+ 10050 with Quick Charge premium portable charger. In the past, I have received chargers as promotional gifts which almost seem like toys now. 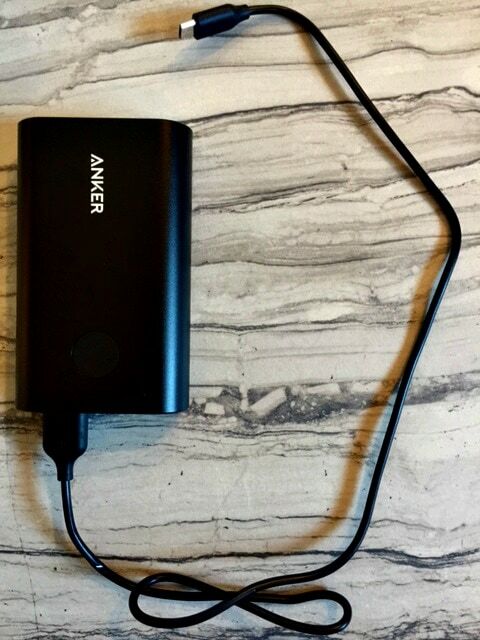 Anker will charge my phone or tablet with 4 charges without having to reconnect the PowerCore and it works lightning fast. As a blogger, having reliable, portable power available is the lifeblood of my business. I’ve been at events where I’ve had to find an outlet and recharge my phone and then wait until it did so. Life happens fast and it looks unprofessional when I am not prepared. Now I just pop my Anker portable charger into my bag every time I leave the house. It comes with its own travel pouch too. One of my favorite features of the PowerCore is the ability to see how much remaining “juice” the unit has available. The PowerCore has ten led lights in a circular arrangement around the power button, so I can more accurately now what portable power remains in 10% increments. When the unit does need to be connected, it charges more quickly than a standard charger. My daughter has a long commute each day and loses power fast because she uses a navigation app that drains her battery. Her car charger can’t seem to keep up with it. I’m going to get her a portable Anker charger so she can stay fully charged anywhere she goes. Now that my husband has seen how fast my Anker PowerCore charges up my phone and devices, he wants one too. 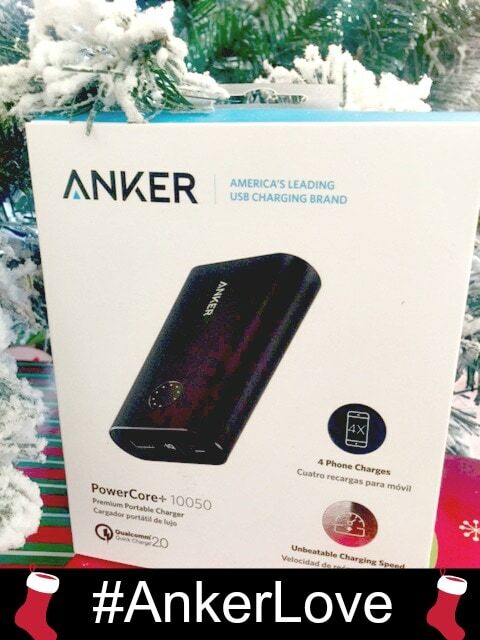 If you have a teen or college student or someone on your gift list or someone else whose phone and tablet needs to be fully charged fast, I cannot think of a better gift. So there you go Santa. It’s the perfect gift at the perfect time of the year. The Anker brand wants to Power Your Mobile Life. Visit their website or Walmart for a complete lineup of their products. Follow ANKER on Facebook, Twitter, or Instagram using #AnkerLove. This is a great gift for a college kid..or really anybody that uses their phone or other devices! That is so perfect for me! I’m on the go all the time, and not every place has a plug for me to plug in my charger. I need to get one of these. This would be a good gift idea like you said for teens and young adults! I know it would be useful for any busy person too! This is awesome, I always need a charger with me at all times. I will have to check this one out. I have an ANKER charger and I love it!! I love how quick it charges and how light it is!! 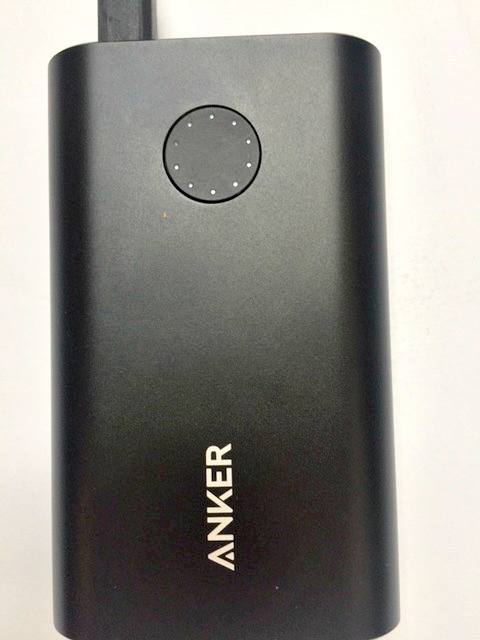 It is nice to have a portable charger when you are on the go. I just got a wireless charging device for my husband’s car. I have an Anker charger and I really love it. It charges up at a great speed. It really does come in handy. I got my Son one of these. He is always running out of battery on his phone. This sounds like a great charger! I need to check this one out. Thanks for sharing!! I love portable chargers!! They’re so helpful and great to carry around! Thanks for sharing this, I need to grab some for gifts! This is really what I need! It’s really important to have an portable charger while I’m traveling. I never leave home without an external charger! They are a lifesaver at theme parks or on vacation. This is a very nice stocking stuffer. I would love this one for sure. I mayget two, one for me and one for my husband.